LOS ANGELES — Hunting for its third straight 3-1 week, UC Irvine got off to a great start with an 8-1 victory at UCLA on Tuesday night. But the Anteaters also came away with some concern after Nick Anderson was plunked by a pitch in the ninth inning. Anderson couldn’t complete the contest and had to be replaced. The pitch hit him on his right hand. He was set to get x-rays on the hand, but the injury was a quick reminder for UC Irvine of how quickly an injury can change things. 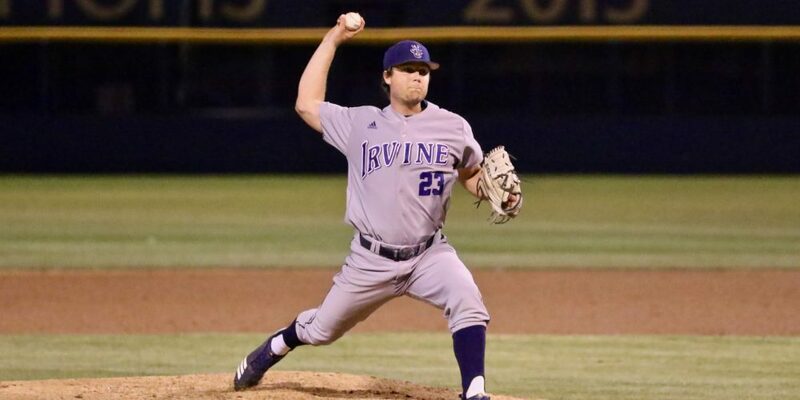 The ‘Eaters opened the season 8-2 with Anderson starring. He was hitting .357 with 11 RBIs as Irvine headed into a weekend series at TCU, but Anderson injured his ankle against the Horned Frogs in a collision while trying to avoid a tag running between first and second base. The ‘Eaters lost their first series that weekend. More importantly, they lost Anderson. Over the next three weekends, Irvine played very winnable series against Portland, Utah Valley and Southern Illinois. They earned only a split of a four-game set with the Pilots before dropping series to the Wolverines and Salukis. Anderson returned for an at-bat during the midweek prior to Southern Illinois and delivered a hit. But he wasn’t back in the starting lineup until Sunday against the Salukis (when he reached four times). When he finally returned to the lineup for all three games of a series the next weekend, he struggled with only two hits and Irvine dropped another weekend. When Anderson has been producing — as he has since a series loss to Hawai’i — the Anteaters have been winning, going 7-2 in April. He has been the team’s catalyst. When he has gone hitless, UC Irvine is 1-3 and it is 5-5 without him in the lineup. With an Anderson hit, the win percentage soars. The ‘Eaters are 15-6 when it occurs.